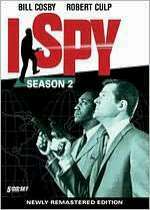 I Spy: Mystery and Suspense on Television. I Spy featured a pair of American agents (spies) who were assigned to cases around the world. Their covers were a professional tennis player (Robert Culp as Kelly Robinson) and his trainer (Bill Cosby as Alexander Scott). The series aired on NBC for three seasons from September 1965 through April 1968. 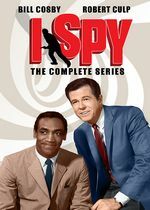 A made-for-television movie (I Spy Returns) aired in 1994 based on the series with both Culp and Cosby reprising their roles. A theatrical movie (I Spy) starring Eddie Murphy and Owen Wilson was released in 2003. 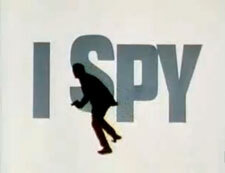 I Spy was innovative in several ways, not the least of which that many of its episodes were filmed on location in many exotic places. It was also the first dramatic series to have a black actor in a lead role. Note: Over the past few years, individual episodes or collections of episodes have been released on DVD. The DVDs on this page represent the complete seasons of the series.